Christmas tree storage is important in protecting the life and beauty of your artificial Christmas tree. Christmas trees and decorations require proper care and storage in order to ensure long life and premium displays. Although your original boxes may work for the first year or two if properly taped, we suggest you store your tree in christmas tree storage bags to prolong the life of your investment. 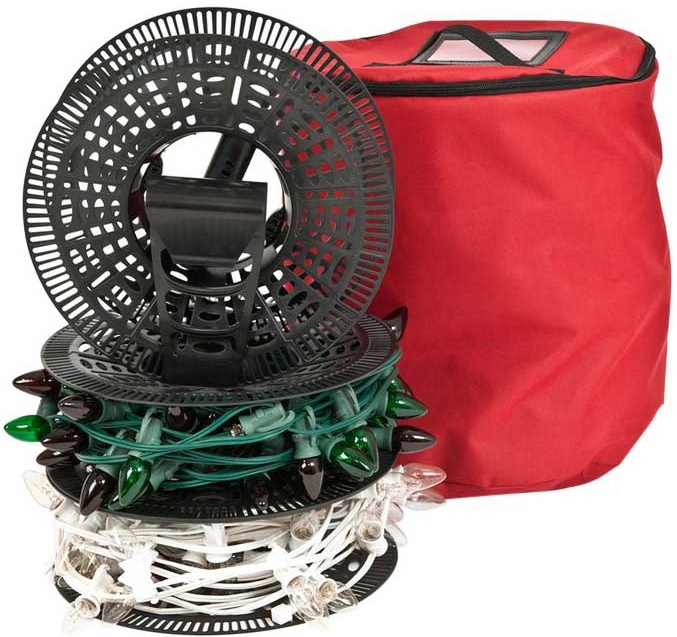 We recommend not stacking anything on top of your Christmas tree storage bag, and the bag be placed on a flat surface. Place in a cool and dry location where the temperature will remain relatively constant. Placing trees in attics or garages that are going to reach extremely hot temperatures in the summer is not recommended. There is no better time to get ready for the next holiday season than when it's time to take down your Christmas tree. Take the time to systematically inspect your tree for burned out light bulbs, damaged wiring, or broken connectors. Leave the lights turned on as you begin removing the top section of the tree and check the lights. Doing this could save you considerable time putting your tree back up and getting ready next season. Replacement mini lights are easiest to find at the very beginning of the season, long before anyone puts their tree up. By knowing ahead of time that you will need a handful of replacement mini lights, you can relax with the assurance that you will not shop too late. Once all the lights have been checked and the branches compressedl you are ready to complete your Christmas tree storage. 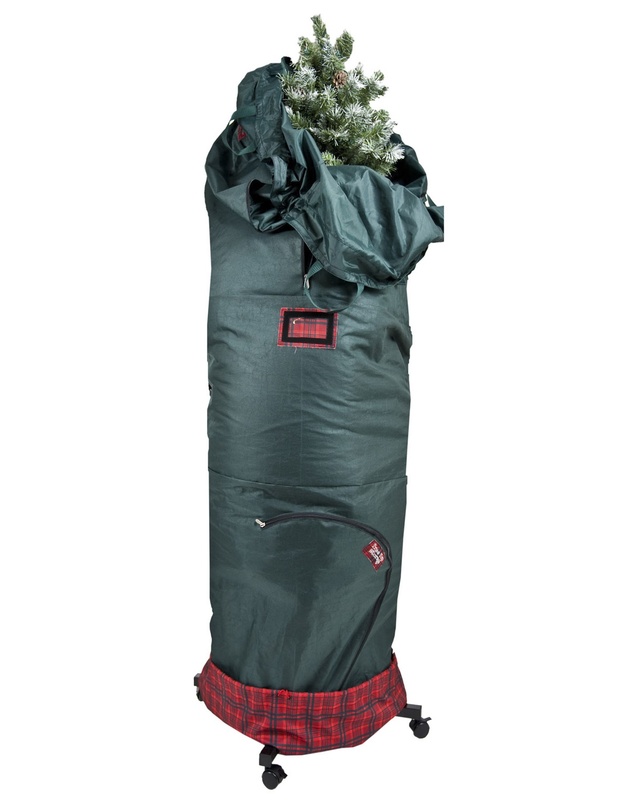 Christmas tree storage bags are available in standing, rolling, and hanging styles, and some bags even allow for fully assembled trees to be stored, completely decorated! Christmas tree storage is followed closely in importance by proper storage of wreaths and ornaments. Wreaths of any size can safely be stored for the year and kept in pristine condition season after season with our wreath storage bags. 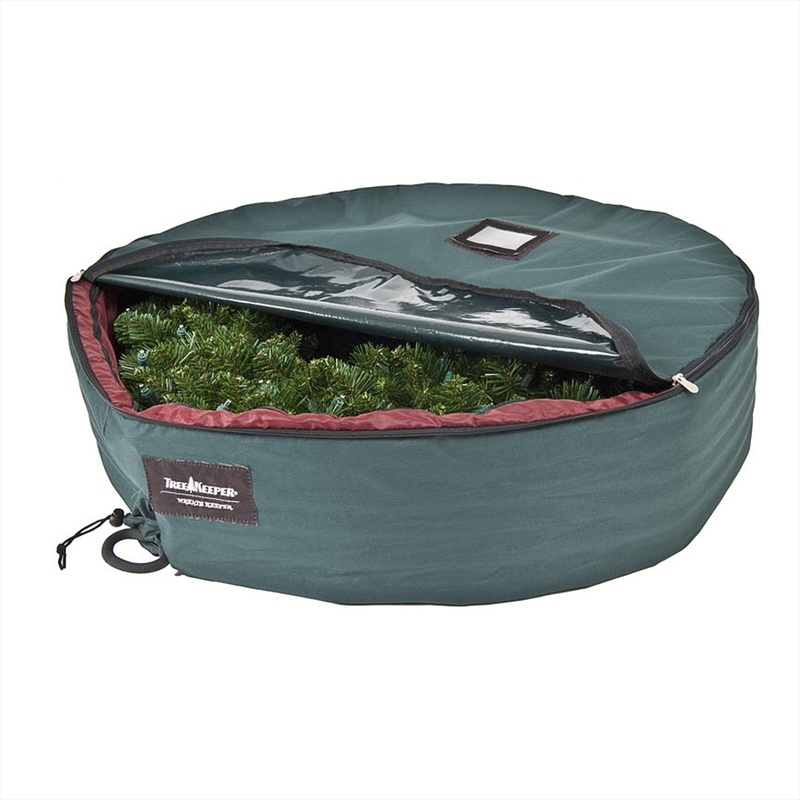 From 24" residential to large 72" wreaths often used in commercial installments, there is a storage bag for any size. Wreaths can be stored using inner compartments for lighting and accessories, and straps secure wreaths from moving and crushing on one side. 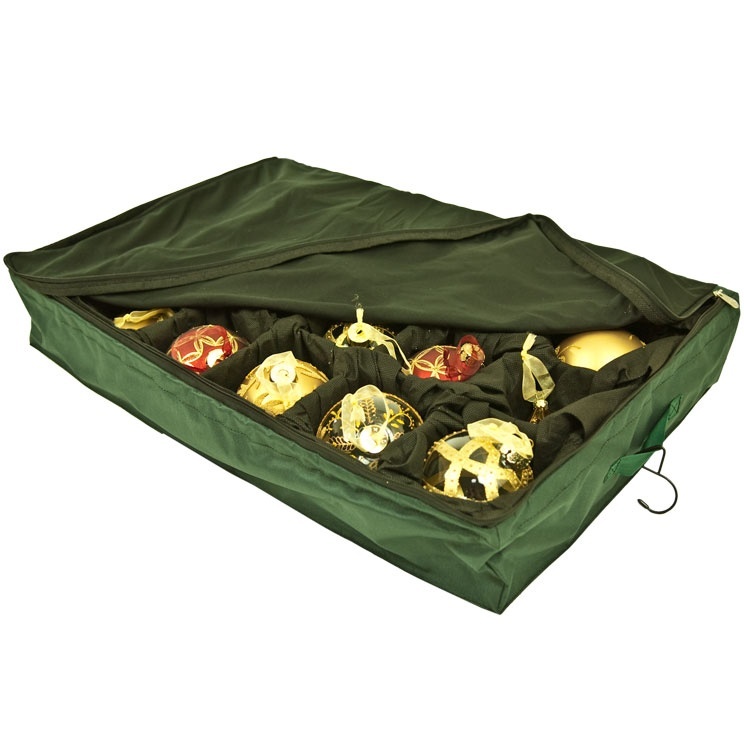 In addition to tree and wreath storage, proper ornament storage keeps irreplaceable heirlooms protected, and reduces the chance of having to go through the difficult and often costly experience of finding a replacement for broken glass ornaments. Padded ornament storage trays can easily hang or lay flat, perfect for stacking on shelves or storing away in extra closet space! Beware the tangled mess! Chances are you spent a good bit of money on your Christmas lights, so you'll want to protect your investment. Lights and bulbs can be stored in protective tubs with lids or canvas bags. As with trees, it is not recommended that lights be stored in areas that will experience extremely hot temperatures or leaks. Some people find that they use bulbs for many more occasions than Christmas, including weddings, parties, and sporting events. We recommend storing your loose light strings on light storage spools. Christmas tree, wreath and lights storage should not be overlooked or taken for granted. Trees and ornaments can keep their structure and beauty for years to come if properly stored, and unpacking and repacking is much easier and less stressful when the proper storage solutions are in place.